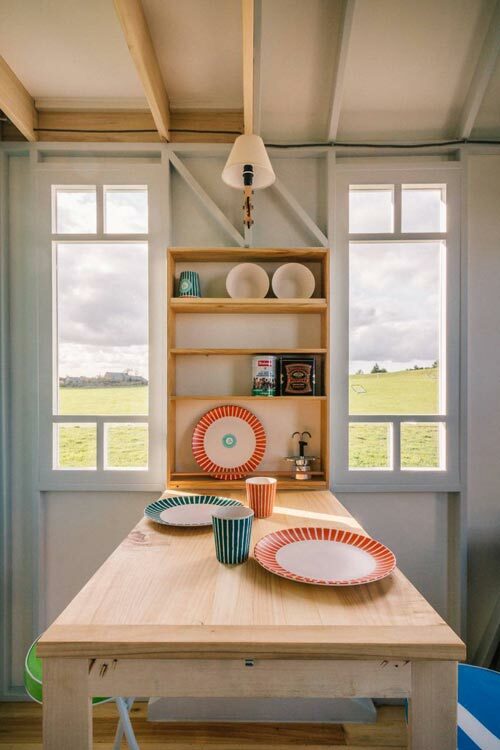 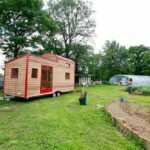 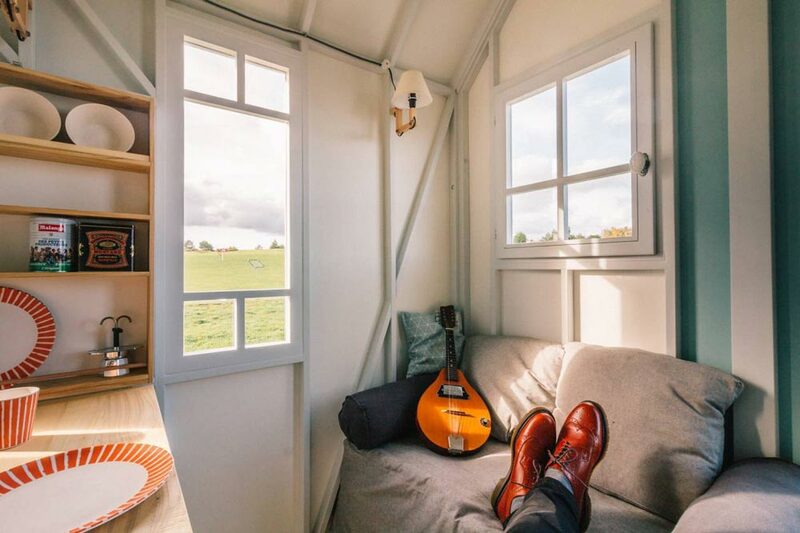 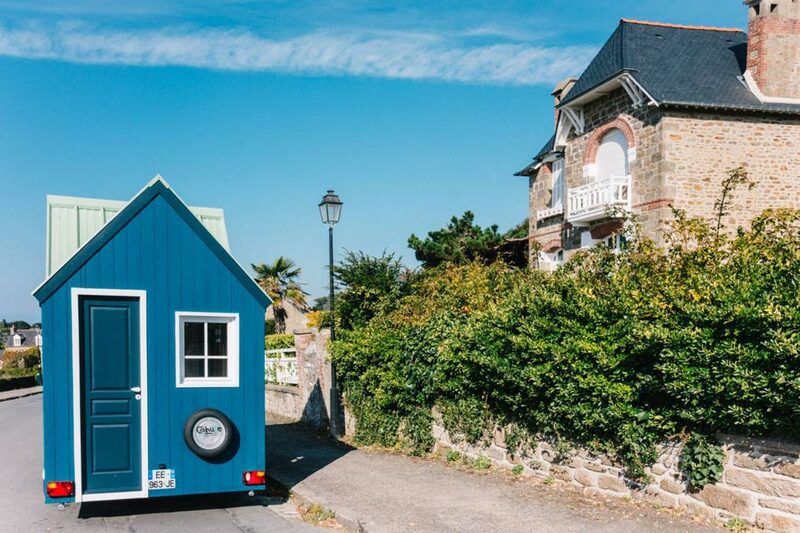 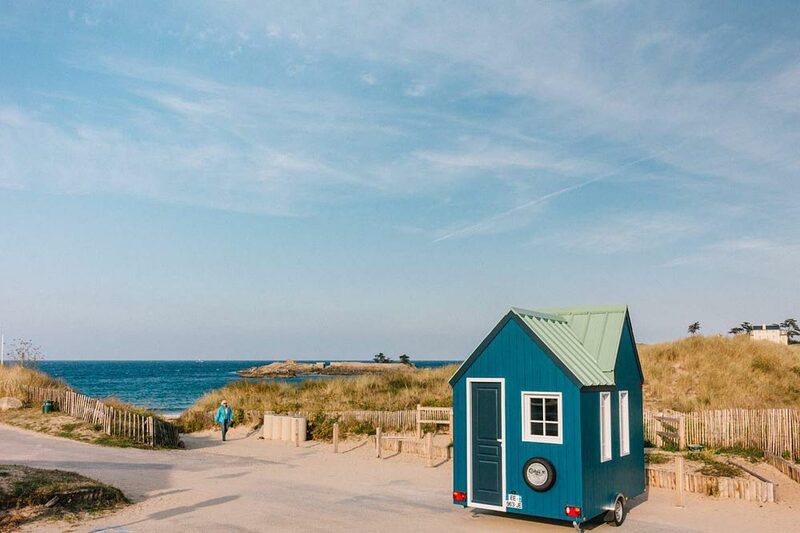 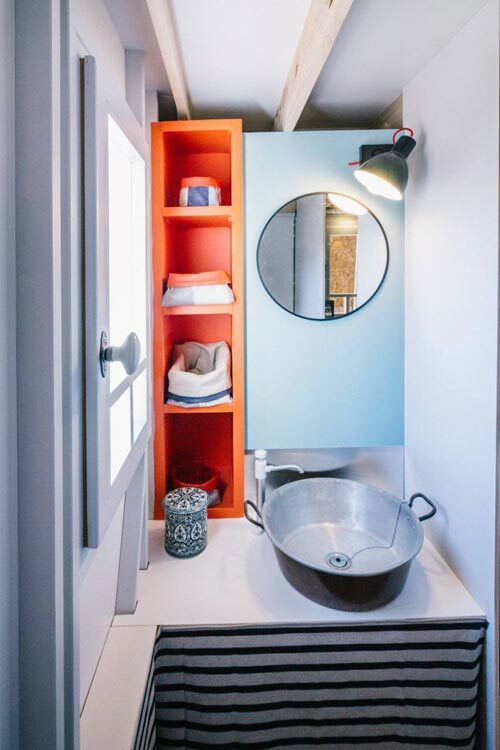 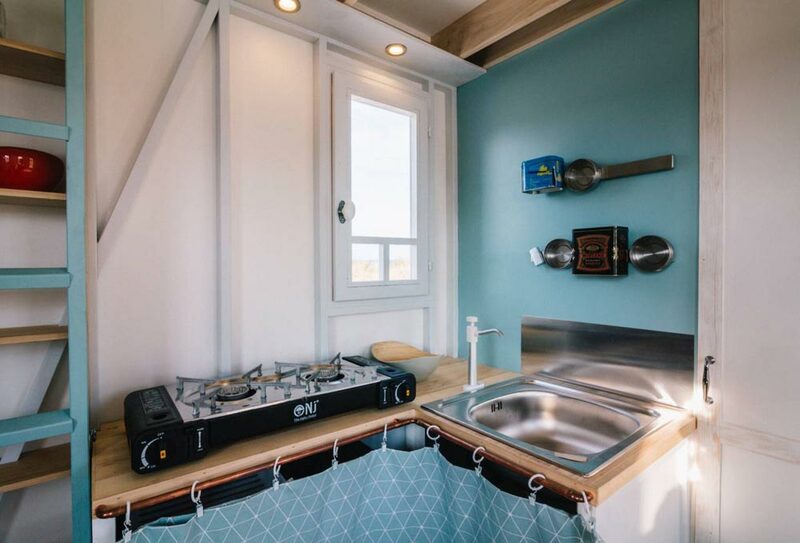 After discovering the tiny house movement spreading across North America, French craftsman, Thomas, decided to create his own house. 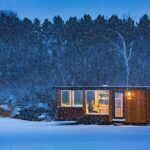 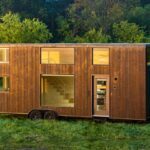 As a specialist in eco-construction, he set out to build a house that was half the length of a typical French tiny house and only one third the weight, all while using responsibly sourced materials. 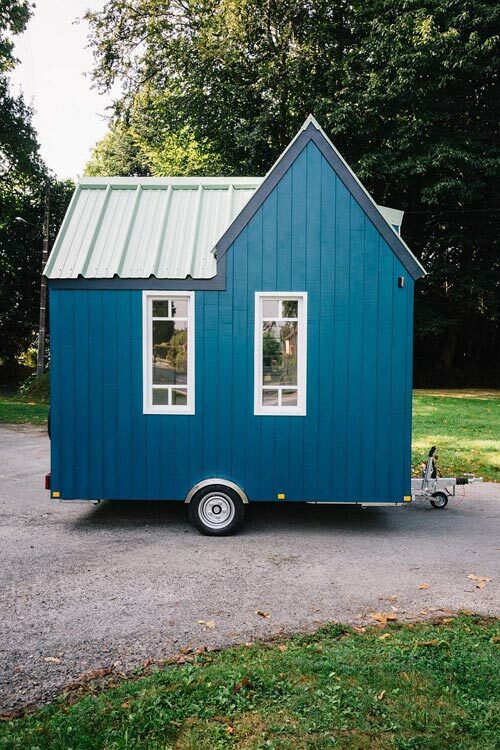 After several months of research and four months of building, Thomas completed his Cahute Tiny House. 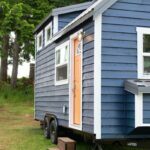 The Cahute has a total of 10.5 sq.m. 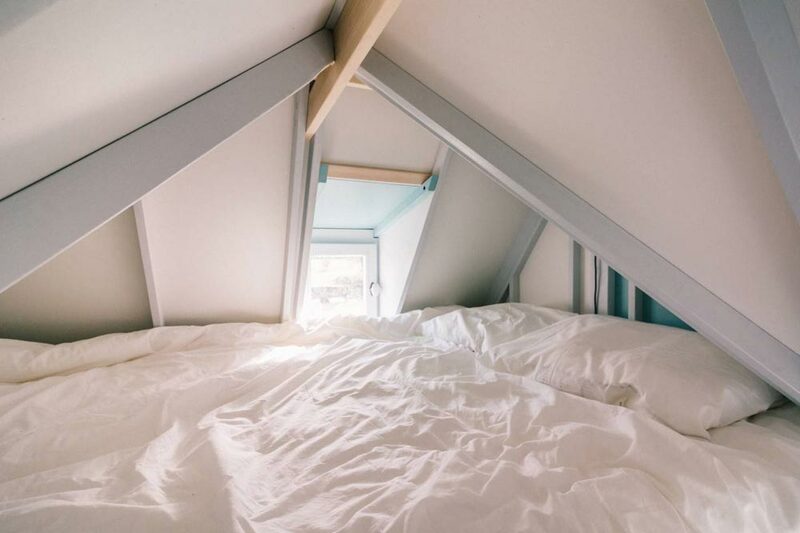 of living space (approx. 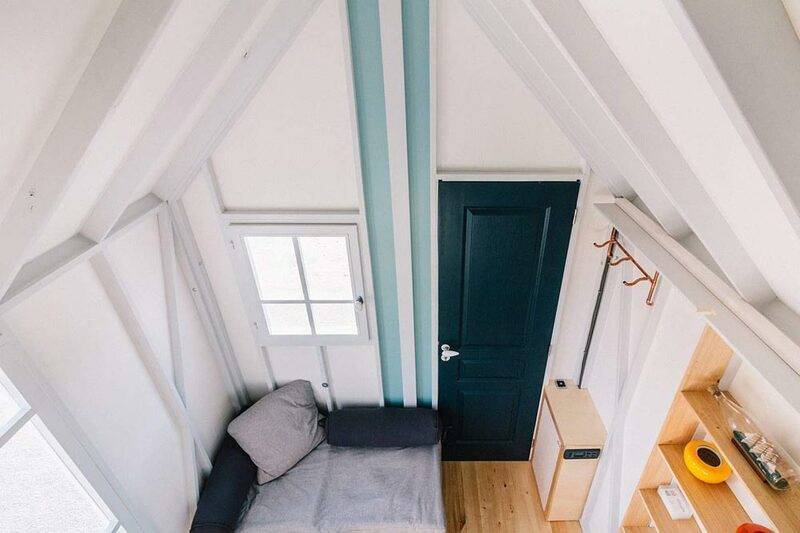 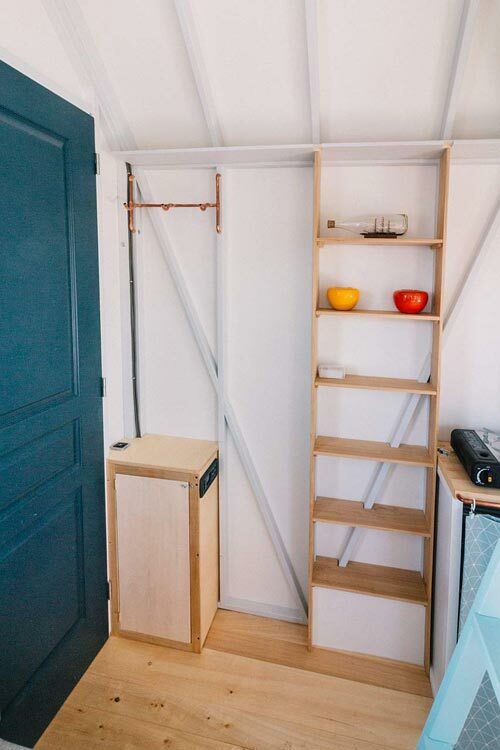 113 sq.ft.) 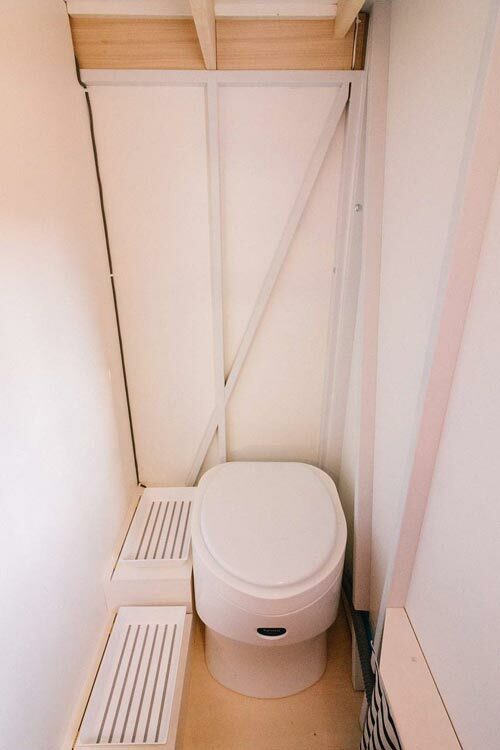 with 7.3 sq.m. 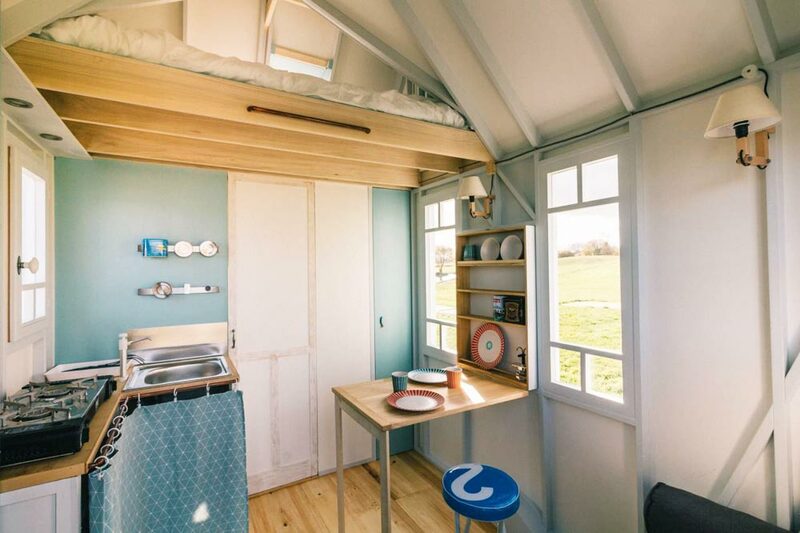 on the main floor and 3.3 sq.m on a double bed loft. 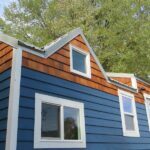 The house is constructed from a poplar tree truck, casein glue, compostable honeycomb cardboard with expanded cork, and a steel cover. 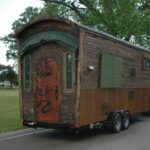 The Cahute is available for rent starting at $70€/nt. 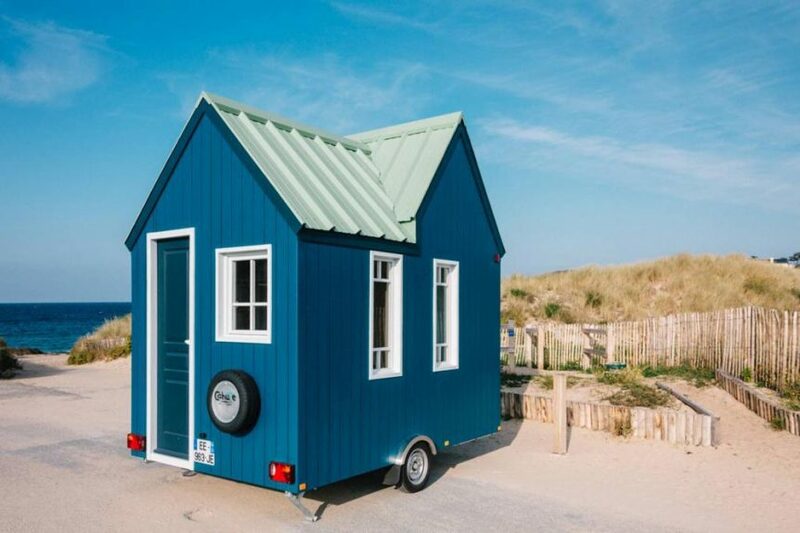 You can either tow it with your own vehicle or they can bring the tiny house to you and set it up in a stationary spot during your rental. 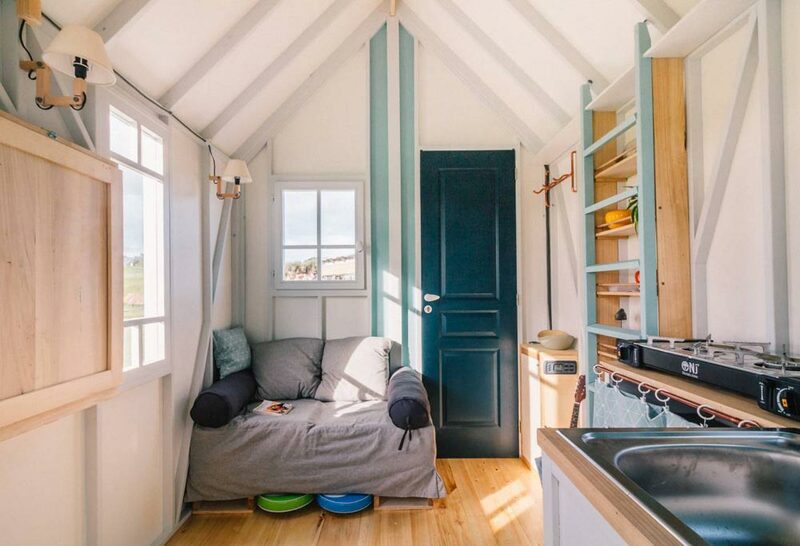 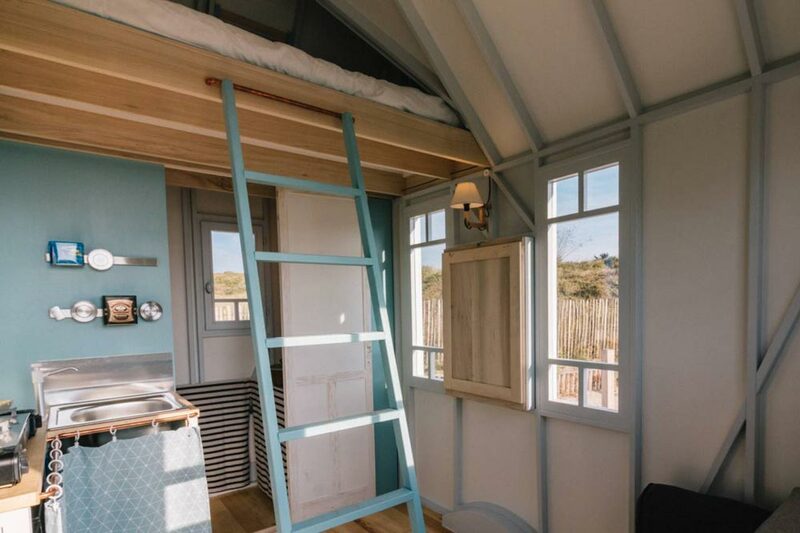 Also available from Cahute: Cahute XL Tiny House.